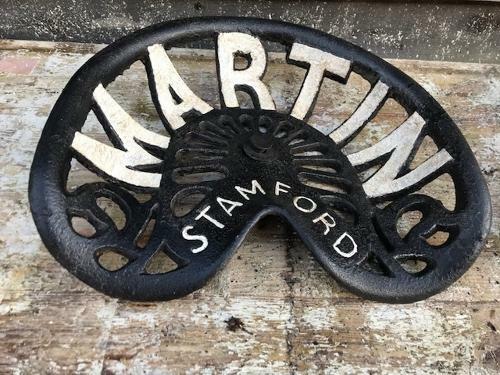 Vintage Martin of Stamford Cast Iron Tractor seat. Cut through lettering. would look very striking hung on a wall.